Seamless Pattern With Trireme, Caravel, Drakkar, Junk, Anchor,.. Royalty Free Cliparts, Vectors, And Stock Illustration. Image 75574597. Vector - Seamless pattern with trireme, caravel, drakkar, junk, anchor, shell, wheel. Vintage black vector engraving illustration for poster, label, postmark. Isolated on white background. 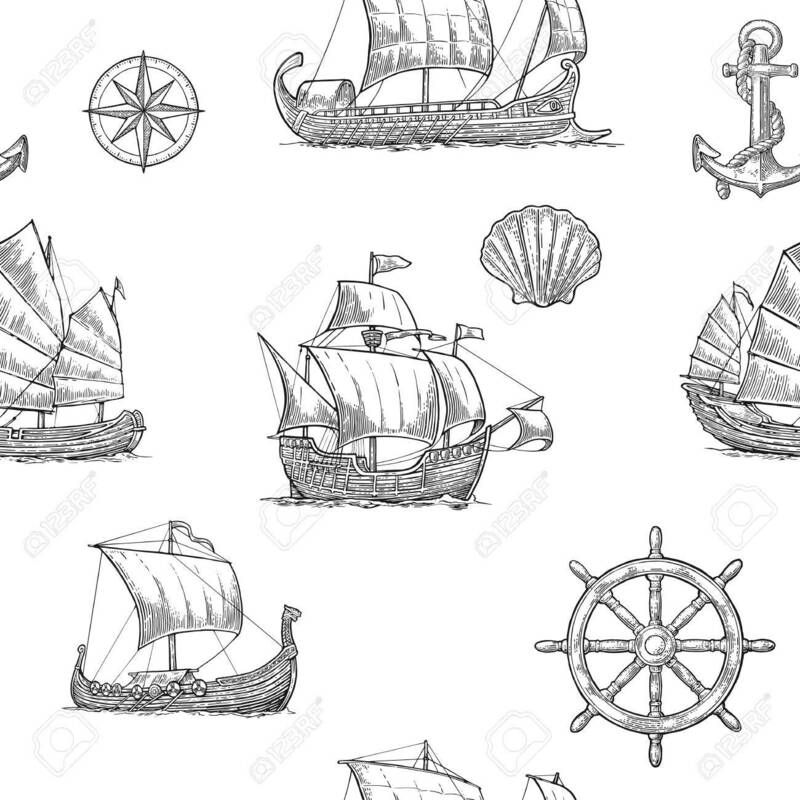 Seamless pattern with trireme, caravel, drakkar, junk, anchor, shell, wheel. Vintage black vector engraving illustration for poster, label, postmark. Isolated on white background.